It’s time for spring cleaning and what better way to declutter than to donate your items to benefit B.E. A S.H.E.R.O. Foundation. We are hosting our SAVERS Spring FUNDrive on Saturday, April 20th from 12pm to 2pm at SAVERS locations in Summerlin (W. Lake Mead/Rampart) and Henderson (W. Warm Springs). Please stop by and show this flyer on your phone for proceeds to benefit our Foundation. 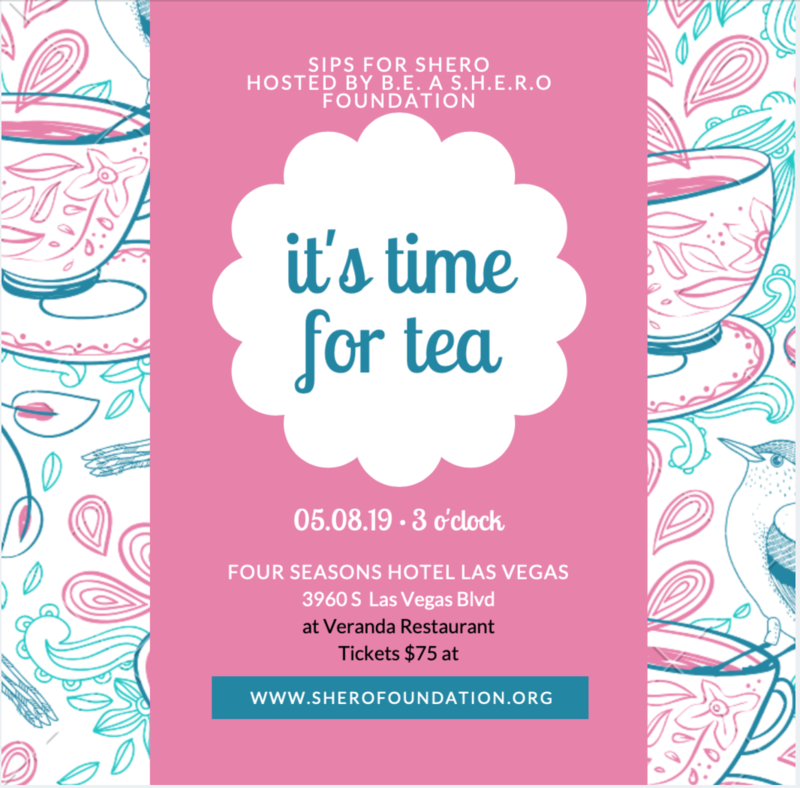 SHERO Volunteers will be onsite to accept your donations. Our affiliates meeting is open to other non profits in the valley who serve and assist the same population that SHERO provides assistance to. Come and learn more about our upcoming volunteer projects. 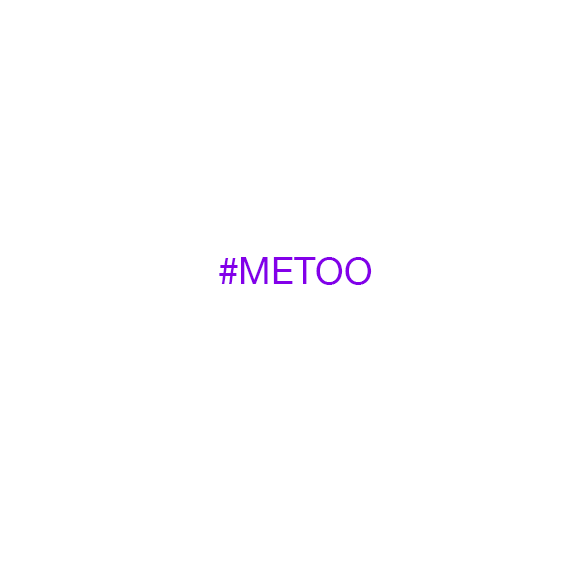 This year, thousands of people are sharing that they had been impacted by sexual harassment and assault through social media. If you too have experienced sexual harassment and assault, here are resources about how B.E. A S.H.E.R.O. can help. If you have not experienced this first hand, we encourage you to listen, learn, and pledge to contribute to building a world that is safe for children – and all people. This is a moment to acknowledge, grow, and show others (especially our children) how to be better than we have been. Beyond the bravery of voices declaring “me too”, we need everyone to call out this behavior in others, and raise up a better generation who will insist upon respect and dignity for all. At B.E. 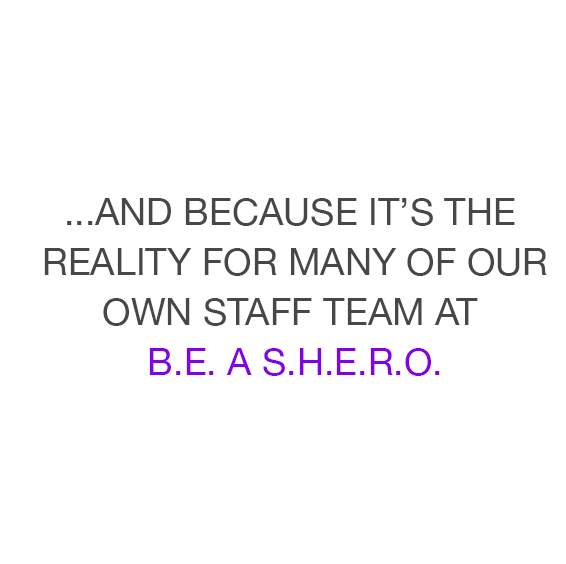 A S.H.E.R.O., we are a part of a much broader movement that is working to see the end of human objectification and degradation. We’re glad you’re a part of this alongside us. We Are Run By 100 % Volunteers! There are several ways that you can help us to collaborate and increase the positive impact through our network of related nonprofits. Donations do not have to be monetary! We pride ourselves in being able to help our network of nonprofit organizations by providing them with the resources that they truly need. 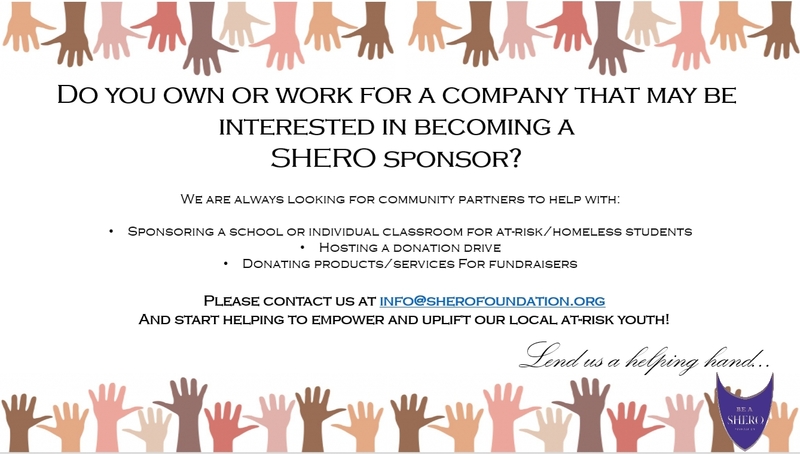 Are you a nonprofit that wants to become a SHERO Affiliate where similar nonprofits work together to make a positive impact on the lives of abused, neglected or exploited women? Do you want to volunteer with B.E. A S.H.E.R.O Foundation or another non-profit within our network?Great! We can match you with the right organization based on how you prefer to give back! Find important information on how you or a friend can seek help and resources. You can use our resource center where we can help to point you in the right direction and get the help you need. Providing protection and solutions to become a gateway of freedom and hope for young girls and young women. HOPE or Helping Other People Evolve. A new foundation geared towards young girls and young women who are victims of human trafficking, abuse, and neglect. Partnering with existing organizations and use our collective resources to provide the most abundant difference financially and beyond for a brighter future for others.